Special Correspondent ● Kolkata: Have you ever heard the name Pingali Venkayya? You must be wondering what’s the point of throwing names and ask people to describe their significance. We, too, understand that. But the point is it’s not a random name. It’s a name that we, the Indians, should be proud of. The name is closely related to our independent identity. A survey conducted on people from diverse profession and socio-cultural background in Kolkata and its suburb areas revealed that a mere 30% common Indian know the name, Pingali Venkayya, the man who designed the Indian tricolor. The result is quite shocking. It’s hard to believe that a country which is about to celebrate its 69th Independence Day is not much aware of the designer of its national flag! The survey unveiled that 15% common Indians are aware of Venkayya’s life, contribution to the country’s freedom struggle and the controversy related to whether he alone should be crowned the credit of designing the tricolor. It’s a fact that the current form of the Indian tricolor is a result of years of gradual evolution. Experts say freedom fighters in different parts of India used to project flags of various designs in the pre-independence era. Later, the then Constituent Assembly approved the present design of the tricolor on July 22, 1947. The Dharma Chakra of Emperor Asoka was adopted as the emblem of the flag in place of Mahatma Gandhi’s spinning wheel. A section, however, believe that Suraiya, one unknown woman from Hyderabad, had designed the final version of the tricolor. There was a proposal of posthumously awarding Venkayya’s the Bharat Ratna in 2012. But no one has any knowledge about the result of the recommendation. 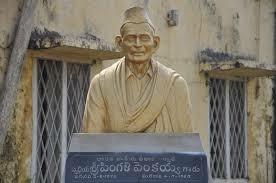 Guess what Venkayya lived his whole life in poverty and died in 1963. Only a limited section of the society knows him. This is perhaps a perfect example of forgetting our history, our roots. But life means something more than mere survival.